Proactive grant support built on the foundation of marketing experience, expertise, and strategy. With the stringent guidelines of your grant criteria in mind, IGM creative group will develop a marketing platform that works in tandem with your strategy. At IGM, we deliver today’s tangibles for tomorrow’s successes. With a track record of working with fundraising organizations as well as non-profits, we are well versed in helping companies reach their goals and improving bottom lines. With a focus on developing outstanding marketing campaigns, IGM has an outstanding record of developing brand strategies which resonate with stakeholders and provide the foundation for a successful fundraising plan. We work to understand your needs, your communication goals, and key audiences. We will devise a strategy to ensure they deliver a website that meets your needs. Deliverables include a requirement brief and discovery findings.  IGM Creative Group is a full-service advertising agency in New Jersey that will lead a creative, integrated marketing campaign that works for you. We understand creative strategies, combined with leading-edge technology to launch your message whether you are a non-profit or entity seeking guidance to fulfill your grant requirements. Though we are nestled in the Tri-state area, our reach is global and our experience is years in the industry. See below for more information regarding, brand strategy, web design and development, brochures, distributable print and ad campaigns and interactive storage. 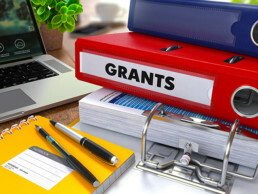 Have a grant you require assistance with? Let IGM supplement your grant application so you can continue serving the community. Embarking on your next journey together. Discover the services IGM offers to supplement fundraising by filling out the contact form. We understand you want to help the world, let us help you. Your dedication to assisting others is matched by only by IGM’s experience in helping companies maximize fundraising potential. We provide an intimate consultation to understand your specific needs while simultaneously scoping competitors to maximize exposure and congruency of goals. With a clear vision of your goals, we begin constructing an identity for your organization, redefining your strategy so you make the most powerful impact upon your audience. Your goals come to fruition as the IGM experts deliver uniform messaging for all of your platforms while adhering to the guidelines of your grant application to build a lasting, recognizable brand. We offer a multitude of services and deliverables which align with your individual needs to capture the highest possible grant funding. IGM’s experience coupled with an unrelenting commitment to excellence are matched only by your dedication and resolve to your mission. From the discovery phase through fulfillment, IGM will walk you through each step and develop material to effectively supplement your grant applications allowing you to continue making the world a better place. Let us help you so you can continue your mission.